The United States accrued a huge debt to fight the American Revolution. The debt equaled 35 to 40 percent of GDP at a time when government spending and taxes were just 2 percent of GDP. Interest consumed about half of the government’s revenues. Numerous states and the government under the Articles of Confederation were negligent in paying interest and principle. The nation faced a real debt crisis. The Founding Fathers recognized the burden of such a large debt and wanted to pay it off. Angry Mobs and Founding Fathers is now available! 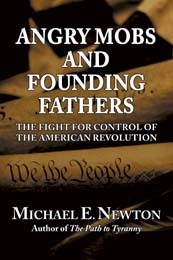 I am proud to announce that Angry Mobs and Founding Fathers: The Fight for Control of the American Revolution is now available for sale at numerous online stores, including Amazon.com and Barnes & Noble. 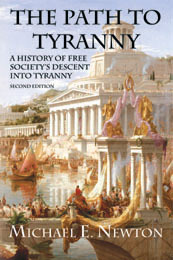 Additionally, Angry Mobs and Founding Fathers is also available on Kindle. If you would like a preview, you can read a portion of the book and search through it over at Google Books. (Amazon’s Look Inside feature should be enabled shortly). Angry mobs launched the American Revolution when they protested against British acts of tyranny. These rebels threatened, harassed, and chased away British officials and Loyalists. The Founding Fathers agreed with the goals of these Patriots, but not with their methods. Fearing anarchy, the Founders channeled the passions of the mobs toward independence. Working together, the angry mobs and Founding Fathers defeated the mighty British army and won independence, but the new nation that emerged was anarchic and chaotic, much like the angry mobs themselves. Meeting behind closed doors, the Founding Fathers conspired to depose the Confederation government, wrote a new constitution, and created the world’s most successful republic. ‘Angry Mobs and Founding Fathers’ tells the little-known story of how these two groups fought for control of the American Revolution.